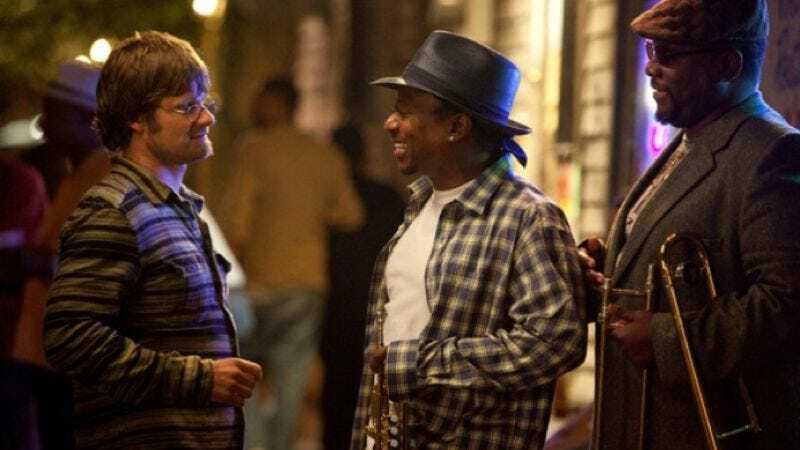 In what feels like an open acknowledgement of the show playing solely to a niche audience, like a virtuosic guitar player busking for spare change, HBO has scheduled the third-season premiere of Treme for 10 p.m. ET on Sept. 23, airing it opposite the Emmy telecast that likely won't recognize it anyway. The David Simon-created show returns after being pushed from its usual spring timeslot and amid the usual concerns that this will be its final season, despite Simon's wishes for a fourth, so you know what that means: Time to create your "Which Treme Character Is The Coolest?" bracket. The move to fall also means that Treme will now be paired with Boardwalk Empire—which just received its own premiere date of Sept. 16 at 9 p.m.—officially making Sundays "Jazz And Symbolism Night."